Tea! I need more tea! Another Monday and I’m still not at work. 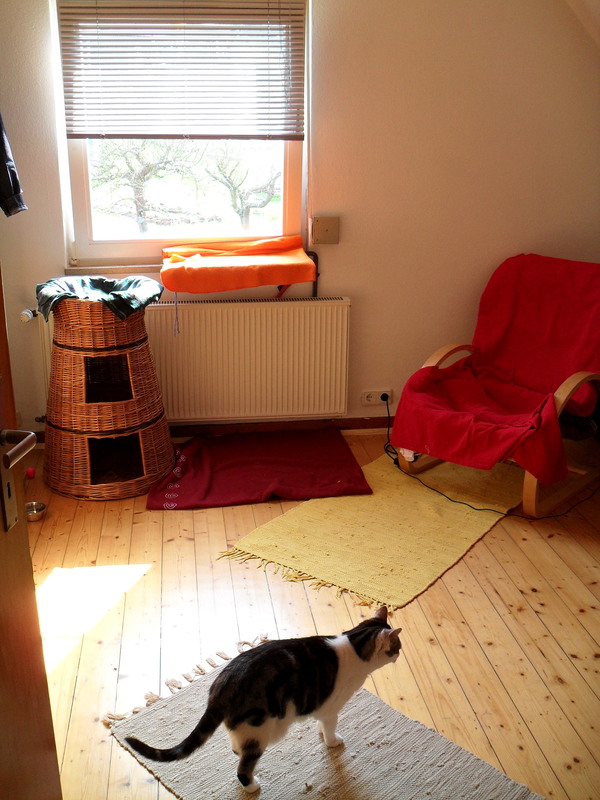 I’m enjoying the nice weather instead in my new room in the house from my mum. It’s great to have a nice cuppa tea in the morning, play with my boys, watch some telly or just surf through the internet. And after some pills for breakfast my tummy is almost calm today…it’s just aching a little bit. Tomorrow I have another appointment at the doc and I’m curious what he’ll say what we shall do next. Looks like the pills and the rest finally work their magic. Woohooh! Somehow it’s really impressive what stress can do to you. Anyway, I need to get well soon because in only 23 days I’m going to move to the UK!